HTF pairings. Happy 木, ツリー フレンズ アニメ pairings couples, cuddles x giggles, splendid x giggles, handy x petunia, nutty x petunia, flippy x flaky, lifty/shifty x flaky, lammy x mr. pickles, lammy x truffles. 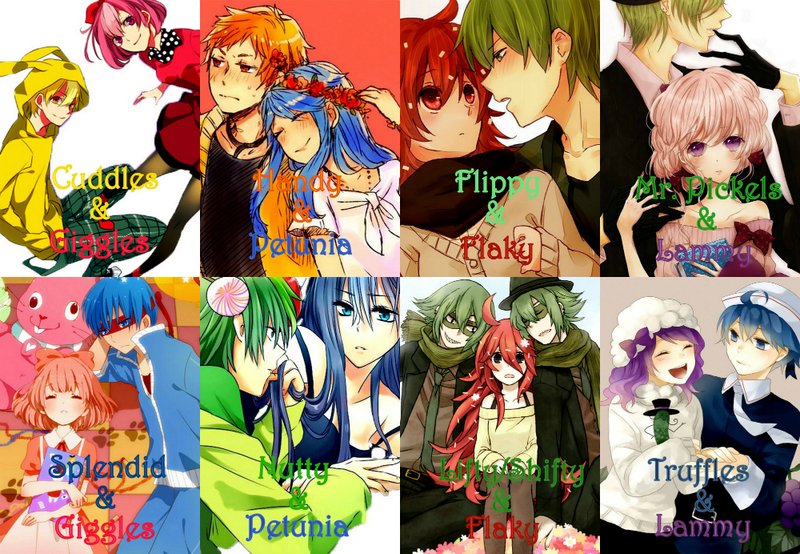 HD Wallpaper and background images in the Happy Tree Friends（ハッピー・ツリー・フレンズ） club tagged: photo htf happy tree friends anime human humanized couple couples.